The article draws a contrast between Western public opinion, reflected in the media, where there are (unwelcome) concerns about Chinese human rights, and Osborne’s uncritical and polite approach. The Chinese version, however, oozes arrogance, saying that Osborne’s more deferential tone is “only indicative of a natural order”. In what is being seen in other western capitals as an unprecedented act of kowtow, almost every aspect of the British state will be thrown open to Mr Xi: Buckingham Palace, 10 Downing Street, Chequers, the Palace of Westminster, even the country’s critical infrastructure, including nuclear power. Britain’s traditional allies regard this behaviour as bizarre at best and craven and dangerous at worst, while old China hands at the Foreign Office are in despair. “We will just have to hold our noses,” said one grandee as he contemplated a week in which Mr Xi will be feted in London and Manchester. We use kowtow as a general term for subservience but its original meaning was the ritual act of prostration before the Emperor of China, performed by nobles, officials and, of course, the representatives of tributary states. Such was the natural order. So why the kowtow? The Americans are in no doubt. Mr Osborne may also calculate that Hinkley Point will create numerous jobs and building opportunities, the economic benefits of which would accrue quickly. The costs, meanwhile, would not become apparent until the plant is completed and bills rise. Future governments would reap the fallout, not this one. Infrastructure investment always involves some form of state guarantee. If foreign companies put money into nuclear power plants, high-speed railways or the Northern Powerhouse, they will have to be paid back with taxpayers’ money at some point in the future. These are, effectively, giant PFI schemes. They might not show up as government debt but they amount to the same thing. Companies, either private or owned by foreign states, put money into UK public services in return for payments from the government in the future. As it is, much of our recent GDP growth has left the country in the form of payments to foreign investors. This will see our taxes going the same way. If the Chinese are so desperate to invest in Britain’s infrastructure, why can’t they just buy government bonds? Surely that will work out cheaper in the long-run and it wouldn’t give the Chinese state direct access to our nuclear power industry and other strategic assets. That might be so but the Conservatives, and George Osborne in particular, have made eliminating the deficit their raison d’être. The state deficit was the political stick the Conservatives chose to use against Labour and now they have to see it through. They have, therefore, just passed a law ruling out borrowing for investment after 2019. Of course, this is pure baloney as all governments in modern times have borrowed to fund infrastructure but it means that the capital spending the country needs must be funded through the disguised borrowing of foreign investment and PFI deals. But while the expedient may be short-term the ramifications of China taking a stake in the UK could be huge. The Economist wonders why there has been so little scrutiny in the media or parliament, given the fuss we make over sovereignty and the EU. That this shift is so little discussed in Britain is remarkable. It could transform the country’s role in the world. The Foreign Office is already diverting resources from Europe to China; from political desks to trade ones. Britain’s growing friendship with Beijing appears to be losing it pals in Washington. Its new commercial links hardwire its economy into that of a vast partner whose stockmarket has fallen by almost 40% in the past three months. Mr Osborne points out that Britain is bound to the EU, too. But it is about to have a year-long debate, followed by a referendum, about that relationship. Where are the parliamentary wrangles over China? The prominent sinologists in Britain’s public life? The headlines about the intrusions on British sovereignty by the economic giant to which Britain is, for better or worse, tethering itself? For reasons of ideology and political expediency, the government is sleepwalking into a potential geopolitical shift. No-one can be sure where this will lead or what the implications might be. At best, it will leave future generations paying some of their tax money to a foreign dictatorship. At worst, well, who knows? At the FT’s Camp Alphaville in July, I saw the former Enron CFO speak. He seemed a little aggrieved that he had been punished for keeping borrowing off his balance sheet when everyone else, be they companies, banks or governments, seemed to be getting away with it. The Americans sent Andrew Fastow to prison for hiding debt. 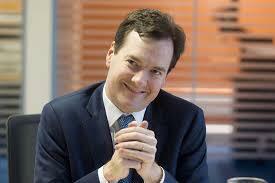 We will probably make George Osborne prime minister. Original modelling by Frontier Economics for IPPR suggests that public ownership during the construction phase, followed by selling the completed asset to the private sector, could lower the cost of capital by a 0.2–0.4 per cent, which would save consumers £1.2–1.8 billion (in 2012 prices) between 2015 and 2035. If public ownership were to continue through the operational phase, but a private company was contracted to run each individual plant, costs could be lowered by a further 0.8–1.2 per cent through to 2035, producing additional savings for the consumer of £2.5–3.7 billion over this period. Since this is money that would otherwise be taken from households and businesses through their energy bills, this amounts to projected savings of £35–57 per household over the next 20 years (in 2012 prices). There are so many reasons why this is worrying-not least because we can’t understand it. My pals in Asia tell me that China is hugely unstable and could ‘blow’ and why haven’t we learnt from their exploits in Africa? Is this just a vanity role for Osborne? If so-he is dangerous and must be stopped. Clearly, there is no need for that at all. We could borrow short term, and roll-over every three months. We could could use People’s Quantitative Easing. No interest cost, no capital to repay. But no, we are entering into the most expensive PFI contract ever, where £25bn Hinkley Point C capital cost will be repaid at around £2bn a year over the next 35 years, making it more than 3 times as expensive. State-brokered FDI, like PFI, carries higher financing costs than state-issued debt (i.e. gilts). The beneficiaries of this premium are the middlemen in the City. From Osborne’s perspective, Chinese investment in UK infrastructure is of a piece with London becoming the major offshore centre for the Renminbi: it’s just business. From China’s perspective, UK infrastructure is a useful (if relatively small) opportunity to diversify their national savings portfolio. Tory policy (particularly since the removal of the pro-big capital influence of the LibDems) is best understood as pro-money capital, hence the undermining of banking reform, implicit bailouts for privatised public services and infrastructure (protecting investors and thus de-risking financing), and the havering over Europe (the substantive issue is the City’s “independence”). There has been much talk of late of “hardworking” Tory voters conned over tax credits, but this is trivial in comparison to the con over the “national interest”. The (possibly) final fatal flaw in the whole deal is the actual technology of the type of reactor, which is said to be one of the worst on offer internationally. It is a white elephant, will ruin the ecology of the area, and will provide relatively little of the UK power needs for the amount of cost, investment, political and security problems arising. Osborne is a threat to our security, but worse it is destroying UK jobs just for the vanity of keeping the spending “off the books” in his idiot-level “game” of being chancellor hoping to be PM in waiting. I’m unconcerned who owns the power station – after all, they can hardly take it home with them. Just wish government kept out of it. The Chinese know most about building nuclear power plants, so it’s more than just their money we need. Whether we’re buying the right type is open to doubt, but when did government ever procure anything cost or technology-effectively? NHS IT system for example, or absolutely anything the MoD buys. Exactly right. The biggest issue in all of this is that we probably don’t actually need another nuclear power station or high speed railway in the first place. But if we are going to have one, at least the Chinese know how to build them and will actually agree to do so. I don’t see a bunch of other people lining up to take their place, so how can this be a bad deal. Laughable also that state funded investment is still considered a better deal because of low borrowing costs. Not only due to the fact that in the last 100 years we have learned again and again that any activity by a central state is likely to be hugely inefficient due to rent seeking, by far offsetting any savings on interest costs, but also because of basic finance theory. It is not the cost of borrowing that determines whether you should borrow or not, it is whether the funds could be used better elsewhere, like staying in the pocket of taxpayers. Finally, isn’t a bit hypocritical for the US to criticize the UK for trying to work some trade deals with the Chinese? The US and China are each other’s biggest trade partners. Meanwhile, solar installations get 8% cheaper per year, as they have for decades, and will continue to for decades to come. Cutting current subsidies for it won’t stop it, it’ll just mean it won’t be UK companies that benefit, as they’ll die in the short term unless they can export til subsidies are no longer needed. When we’re paying for nuclear at guaranteed high rates and solar undercuts them by miles, this will look the incredibly bad deal it is. You are forgetting: Solar “cells” are made in China (for the most part). And it does no matter how cheap they become…because efficiency is key, not cost. Without large, efficient storage attached to it, solar is dead in the water as far as being dispatchable. And it isn’t the government providing the subsidy, it is domestic users. The 8% is per unit of power generated, a pretty good measure of efficiency (though not the only one, you might care about size rather than cost – and this doesn’t include fitting costs, which aren’t changing much, other than sticking them in fields rather than on buildings). By the time this plant comes on line, it’ll be painfully uneconomic. I’ll grant that decent ways to store electricity would be a major advance, but an advantage of solar is that distributed generation cuts down on transmission losses. We will always need other sources (or storage as you say) in order to have capacity when we need it on demand. Of course, China is world leader in solar (from a standing start) because they decided to clean up their power generation, and remaining UK companies will die due to lack of subsidies, unless they can make up for it by exports. The state’s cost of money is zero. Any payments above that are voluntary corporate welfare. There are so many inappropriate analogies I can think of for this but let’s just leave it at Britian is the most brazen prostitute in the world? With so much dodgy Chinese money stored/invested in the UK, the least the channy can do is grovel a bit/lot/lots. It is also good for party funding. To refer to the IPPR report, I really cannot figure out how they have come to their conclusions, that the maximum saving sof full public ownership is the ludicrous small amount of savings they come up with per household. I reckon, if the Hinkley C plant was publicly financed, it would approximately one third of the cost of electricity. The deal is very simple: China has purchased a rent over British taxpayers and electricity consumers. A ‘rent’, for the economically naive, is the extraction of value created by others. Were the Chinese to fund some piece of infrastructure that creates value for the users, and receive some toll or interest or dividend that repays their capital and covers their cost of funding, plus a premium for their risk, and a profit that equitably divides the value that they have created among the beneficiaries, they will have performed a trade, and they will be receiving a return on an investment. That’s a trade, and a productive investment. Were the Chinese to exploit some positional advantage – some geopolitical leverage. or access to officials and elected intermediaries whose interests are not aligned with the stakeholders who will pay the bills – to purchase rights to payments far exceeding the value of the project to the stakeholders, then they have purchased a rent. Why our government has been so indecently eager to sell this particular rent is a question of politics and, perhaps, of ‘follow the money’: every bad deal is a good deal for someone, and if one or other party in the deal appears irrational then you’re probably misreading their agenda. In fairness, someone’s probably mis-stating their agenda: but political analysis – and the better class of economist – might be expected to look through that. I point out, at every opportunity, that every decision taken by George Osborne acts to maximise the concentration of wealth; it is a coherent and consistent economic agenda and he is, by that agenda, the most effective Chancellor that Britain ever had. Guardian readers bleat about his ‘failure’ to achieve objectives that they read into the Chancellor’s excuses – this crisis, these figures for debt, those undeserving scroungers – without ever looking through it to challenge the policy that he consistently succeeds in implementing. So: we have a deal – the purchade of a rent – that makes little sense according to the rational agenda you would like to see. Now you’ve made the bleating noises for the Guardianistas and the Twitterati, use your economic training to analyse the rational agendas for participants who would – and have! – agreed the deal we see today. There is no rational agenda for participants, other than for the contracting Chinese/French companies, for which the deal (previously £25bn, now, having signed it, only £18bn!) makes sense. For Osborne it only makes sense in so far, as the deficit will be £18bn smaller. Nobody in Britain will benefit, now that EDF has said that their part (2/3) of £18bn investment will be funded by themselves, as will the Chinese part – I guess (they are not going to borrow foreign exchange which they have otherwise sitting idle). The only ones who might possibly benefit, are the ones who will issue bonds on behalf of EDF, or the Chinese, should they really need to cover their £ expenditure with some future £ income stream. The only ones who will benefit are the big construction companies, who will sub-contract to the French/Chinese consortium. The rent extractors will be the French/Chinese who will get 2bn income for 35 years for an investment of £18bn. So that deal does not even increase the concentration of wealth (apart from French/chinese), which running a deficit arguably would. So if Osborne is out ot concentrate wealth with this, as you argue, it would fail miserably. Osborne is just incompetent, that is all. Instead of deficit financing Hinkley C, which could cost 1/3 to the public, (as set out in my blog) he triples the cost of the biggest white elephant ever! Look at the world in which you live. Shortly after the end of the ‘Cold War’ Putin arrested the Oil Oligarchs such as Mikhail Khodorkovsky and put him into jail, whilst other fled to exile in London. We have seen him cut off gas to six European countries via Ukraine, and threaten to switch off the gas supplies to other countries as the winter set in. and we now see Russia involved in Syria. In order to reduce energy consumption and cut pollution we have seen new technologies installed in cars, which cars which manufacturers have struggled to deliver, and have seen Germany companies such as Volkswagen seemingly committing fraud. We are insulating our homes, installing LED light bulbs, fitting solar panels to our roofs, filling our countryside with solar panels, putting wind turbines on land and at sea. Debatably making little progress. Despite what we are told green options for power generation are struggling and are extremely unlikely to be able to cope with future demands. The most promising solution is nuclear energy but that has received poor press (see Wikipedia ‘List of nuclear power accidents by country’, https://en.wikipedia.org/wiki/List_of_nuclear_power_accidents_by_country) these accidents are from Uranium types of nuclear reactors. Take a look at these Youtube videos which explain the history of nuclear power and why we took the path that was taken. Hopefully by now you may realise that not all nuclear reactors are ‘Uranium Pressurised Water Reactors (PWR)’ and safer alternatives exist. In the 1980’s and 90’s our government started to closing down our ‘super nuclear research programmes’. In 1995 the UK finally closed down the experimental Dragon reactor at Winfrith. This ended our capability to design and manufacture civil nuclear reactors … bringing an end to our civil nuclear engineering expertise. Today the only nuclear reactor capabilities we have are for Nuclear Submarine which are very different to those used for power generation. The UK and US are unable to start developing new types of Nuclear Reactors as they are constrained by legislation, and know that it would be political suicide to political parties (faced with ‘The Green Parties’, CND, Labour, SNP, the electorate, and all sorts of looneys), and the UK drive for ‘austerity’. See ‘USA: What Place in the Thorium Race?’ https://youtu.be/Jq8-_RziOoQ. This leaves few countries who are not constrained, have the necessary expertise, and the necessary funding. You will see that China has 50,000 Nuclear scientists, together with a 5B$ programme developing Thorium Reactors. China does not need to worry about ‘The Green Parties’, CND, their electorate, and looneys they just get on with it. China has for a long time had aspirations of controlling the world’s supplies of rare earth elements (see: ‘Thorium, Heavy Rare Earths, China & the Loss of Hi-Tech Manufacturing Jobs’, http://www.youtube.com/watch?v=AkC8kItzdZI). Following the Green Technology path has significantly increased the costs of UK energy to approximately double that of our competitors meaning that UK energy intensive industries are uncompetitive and cannot compete (a good example of that is our steel industries). Now watch ‘The U.S. is helping China build a Superior Nuclear Reactors;”Th” Documentary’ https://youtu.be/IPCQ6byZuSc. The UK produced the words second nuclear energy in power stations (Calder Hall at Windscale). We also experimented with Thorium (the Dragon reactor at Winfrith) together with Stephen Weinberg worked at the Oak Ridge Laboratory. Before Nixon halted that programme for political reasons ( http://millercenter.org/presidentialrecordings/rmn-004-027 ). But today due to the short sightedness of politicians that knowledge and capability has gone, leaving very few countries with the knowledge and capabilities to build Civil Nuclear reactors for power generation. But for politicians to embark in ‘super nuclear research programmes’ would be political suicide as they are faced with ‘The Green Parties’, CND, and all sorts of looneys. 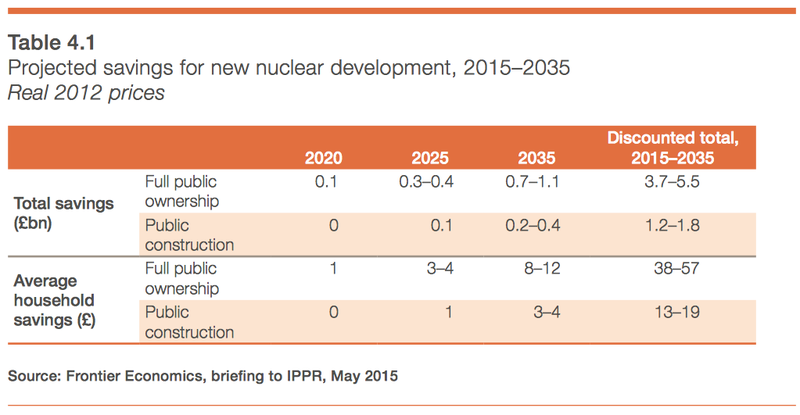 So this leaves us with very few countries who are able to develop nuclear technologies. ‘USA: What Place in the Thorium Race?’ https://youtu.be/Jq8-_RziOoQ. A further complication is scale and national security (buying power stations from elxwhere creates a potential security threat). The problem becomes unless we have sufficient demand for the building of ‘Nuclear Power Stations’, and since it is difficult to export such products to other countries (the security issue), it becomes un-viability to sustain a ‘nuclear enterprise’ and have ‘super nuclear research programmes’ (outside of government ownership). The problem is that since the UK is governed by bankers, economists and accountants with spreadsheets, and our managers (who have politics and history degrees) are risk averse and lack vision … we are all essentially DOOMED (so lie down and enjoy the journey). You should note that many of our wealth creating leaders Alan Sugar, Richard Branson, Steve Jobs, Bill Gates, … they are able to see beyond where we are now and are not constrained by MBA’s and degrees that inhibit them. 6. It provides access to Chinas Nuclear knowledge and capability. The Chinese funding is purely icing on the cake.